Don’t feel like trudging around Annapolis on foot? No problem! Discover this beautiful city aboard an eCruiser with a local guide. This Annapolis and Eastport tasting tour will introduce you to the people, places, and food that make up the city’s unique maritime culture. We’ll cross the bridge into Eastport, an annex of Annapolis, whose existence was and still is critical to the growth and prosperity of Annapolis. You’ll learn about the sibling rivalry that exists between these two sister communities, and see iconic spots rarely seen by most visitors. 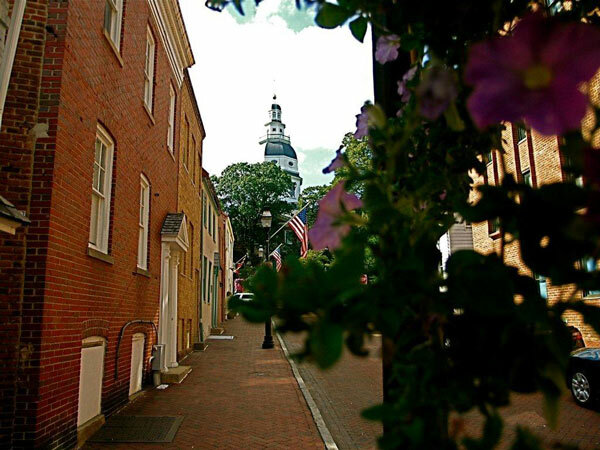 Locals know how important these sites were to Annapolis and American history, and you’ll get to hear the intriguing stories behind them. But this isn’t a history crawl, it’s a seafood crawl! Which means, as we discover this historic American town, we’ll also be snacking on some of the tastiest treats to come out of the bay. You’ll dig into a mix of seafood and locally sourced produce, all inspired by the Chesapeake Bay – truly local foods with local flair. The tasting menu will vary from tour to tour, but expect to find a variety of delicacies — your menu could include crab, oysters, clams, mussels, and/or rockfish. We’ll stop at four different locations both in Eastport and historic Annapolis. Each of our eCruisers accommodates the driver and up to five passengers, making this a fun and unique opportunity where you feel like you’re part of a private, customized tour. You won’t find any other tour where you can take in so much in one outing!